Citation: Finn, S., & Inman, J. G. (2004). 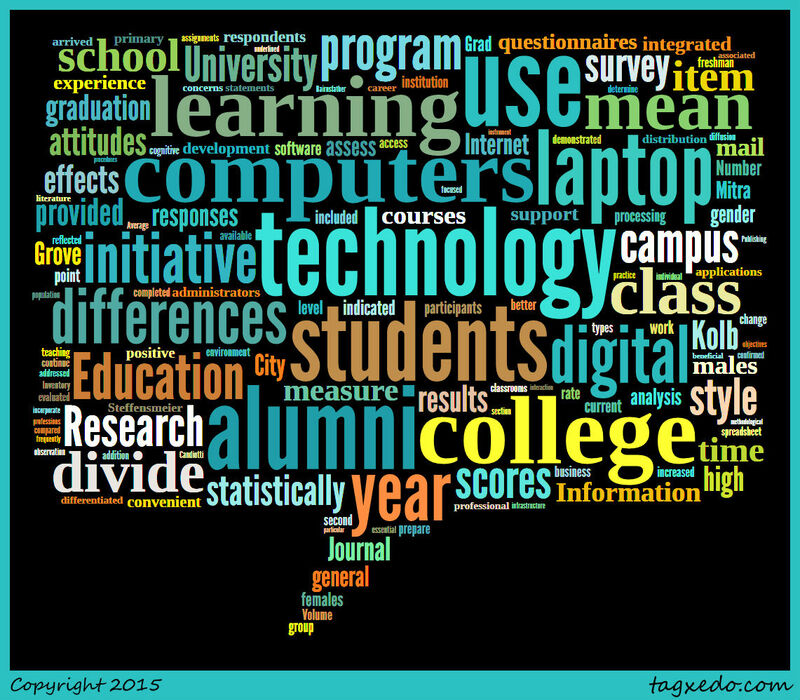 Digital Unity and Digital Divide: Surveying Alumni to Study Effects Of a Campus Laptop Initiative. Journal Of Research On Technology In Education (International Society For Technology In Education), 36(3), 297-317. 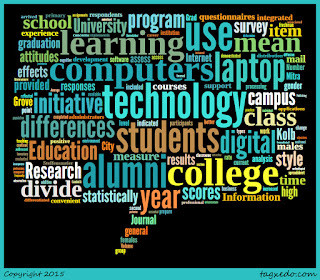 Summary: The authors examined Grove City College’s laptop distribution program by surveying the alumni class prior to the initiative start (control group), and two classes within the initiative (treatment groups) to explore the impact on their education, technological skills development, and preparedness for work. The survey (212 out of 600 returned) included questions addressing Kolb's Learning Style Inventory to understand overall learning styles with computers. Laptop initiative alumni were more positive about levels of campus technology, though all three groups were dissatisfied with the level of technology-supported classrooms. Results relating to alumni's beliefs about the importance of technology has played in their professional lives was ambiguous. The results also indicated that the curriculum did not necessarily reflect the technological changes on campus. The authors explored gender differences in the computer usage, addressing a previously-established digital divide between men and women. The initiative did not change such divides in areas of spreadsheets, presentations software, the Internet, and computer games but notably decreased the difference in word-processing and email. The attempt to align learning styles with computer usage became more complicated with aligning fields of study with learning style scores, and computer usage with little significant results. The initiative made students feel prepared for a technology-driven work life but it did not change teaching and learning.